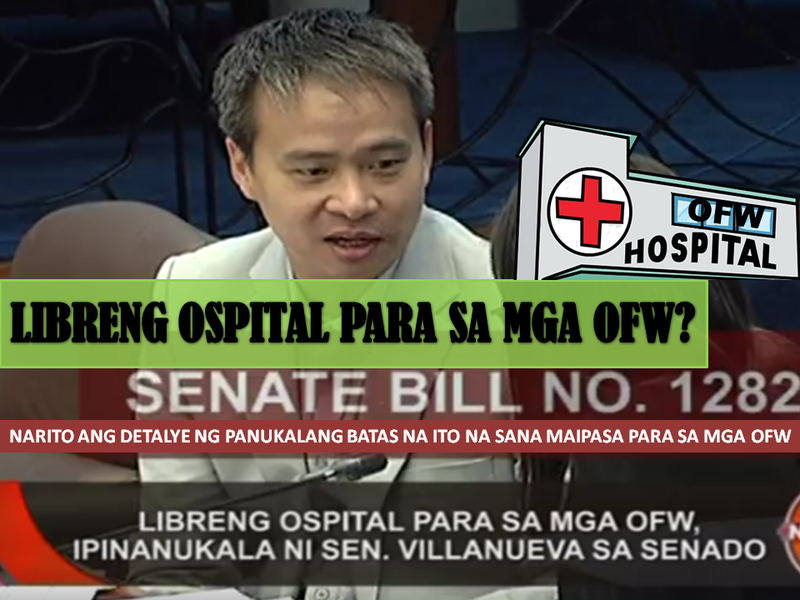 Senator Joel Villanueva filed a bill for OFW to have an exclusive hospital. If this will be passed, OFWs and its dependents can avail free hospitalization. The Senate Bill 1282, Villanueva is proposing to build an exclusive hospital for OFWs. 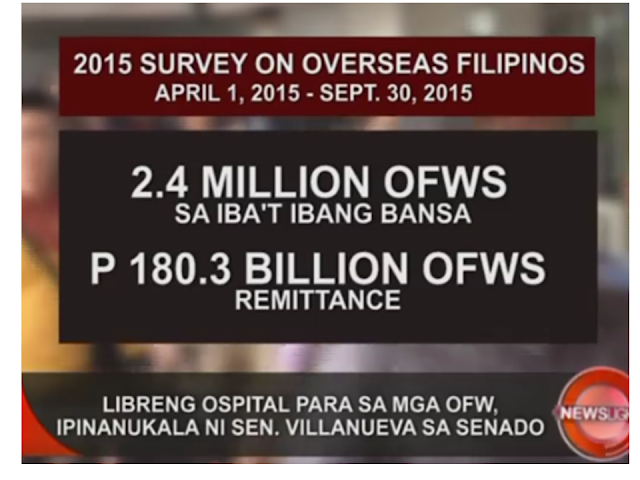 Through this, the overseas Filipino workers including its dependents can avail free hospitalization. Based on the 2015 survey from April 1 to September 30, 2015 on overseas Filipino workers or OFWs, there are about 2.4 million OFWs, of which total remittance of Php 180.3 billion. 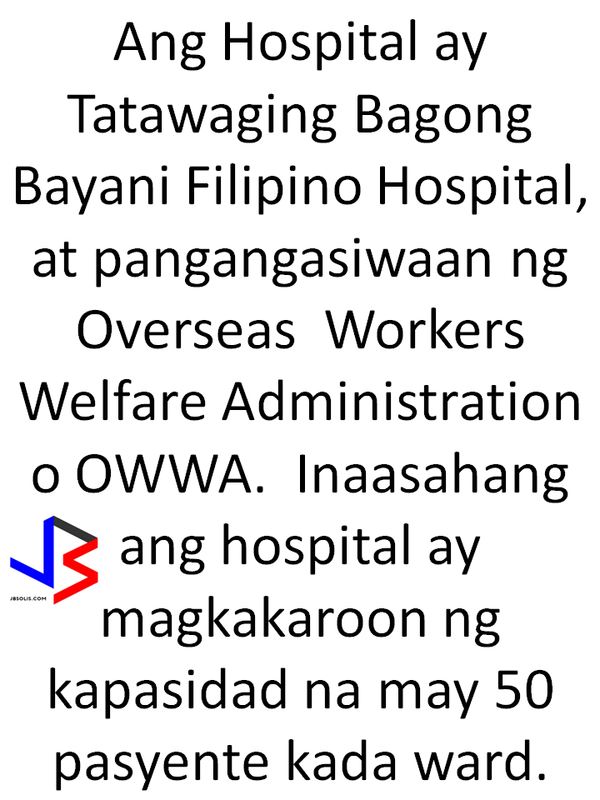 The hospital will be called Bagong Bayani Filipino Hospital, which will be managed by Overseas Workers Welfare Administration or OWWA. The hospital is also expected to admit 50 patients per ward. "Bakit kailangang ibukod ng hospital ang OFW suntok sa buwan yan, e kung healthcard ang ibigay nila exclusively for OFW and their dependents less gastos kesa magpatayo ng hospital. Like kung nasa province panu q maaavail kung ang hospital nandito nanaman lang lahat sa manila"